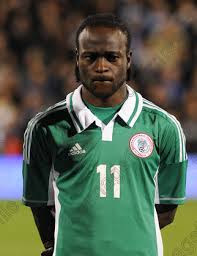 Head coach of the Super Eagles, Gernot Rohr, will be without Victor Moses, for their two international friendly matches against Senegal and Burkina Faso. The Chelsea wingback reported to the London camp with a medical report from the Premier League club, which stated that he was being treated for an injury. Moses picked up a calf problem in their 1-0 win over Manchester United in the FA Cup last Monday and was set to miss three weeks of action. But he started for Antonio Conte’s side at the Britannia, as they continued their march towards the Premier League title. Eagles’ medical doctor Ibrahim Gyaran, advised the technical crew to allow him to go back and continue treatment with Chelsea. As at Tuesday, 17 of the 25 players invited for the games, had arrived in camp. Nigeria–based Ikechukwu Ezenwa, Oghenekaro Etebo (Portugal) and Musa Muhammed (Bosnia-Herzegovina) are expected on Wednesday (all delayed as a result of visa), while goalkeeper Daniel Akpeyi (South Africa) will arrive on Thursday. Kingsley Madu (Belgium) and Uche Agbo (Spain) are also delayed by visa.